According to the New Universal Encyclopedia of the Polish Scientific Publishers, horse racing is the oldest form of riding, though no one is entirely sure when exactly people began to take up racing on the Polish territory. However, “horse racing” back in that time period is not the same as the sport we know and love today. Horse racing in the Polish territories existed mainly because of people’s rush to get supplies and necessary items from one place to another as fast as possible. However, as other forms of transportation began to spring up, the horse racing concept began to gain momentum as a past-time and beloved sport. Historically, despite wars, uprisings, and partitions, the need for people to watch their favorite horse race only grew with time. Unofficial spars on dirt roads and in fields had become quite popular but no one was keeping track of the races or documenting the winners. However, this all changed in 1777, when the very first record of a documented race in Poland appeared. The finer details of the race state that a mare belonging to Kazimierz Rzewulski “completely defeated” the horse belonging to an English member of Parliament by the name of Sir Charles Whitworth. The surroundings for this legendary “first race” were far from glamorous: the race itself supposedly happened on the road from Wola to Ujazdów. It was far from the glittering tracks and packed grandstands on racing’s largest days that we have become used to seeing. Unknown to the participants of this “first race”, the results from this informal match race stretched deep into the country’s roots: races were beginning to become organized spectacles. From that point on, it didn’t matter where it was happening, if a race was being organized, people were showing up to watch it. The venues ranged from streets to private fields on the larger estates of the wealthy. Though it was somewhat common knowledge that street racing was not in the best interest of the horse, the racing didn’t officially leave the streets in favor of fields for almost 20 years. Racing in Warszawa before Służewiec was built. Then, in March of 1841, the “Horse Racing and Livestock Exhibition Society” was founded in the Polish Kingdom. The institution’s purpose was to organize races and support the breeding of Thoroughbreds. It fulfilled the first of its purposes in June of that year when the first organized races were held on the Mokotów Field. The schematics for this particular track included a one kilometer main track, which is a bit more than half a mile. Warszawa embraced this new past-time with a burning passion and racing exploded in popularity. However, the excitement was cut short in 1863 when racing was suspended on account of the January Uprising. 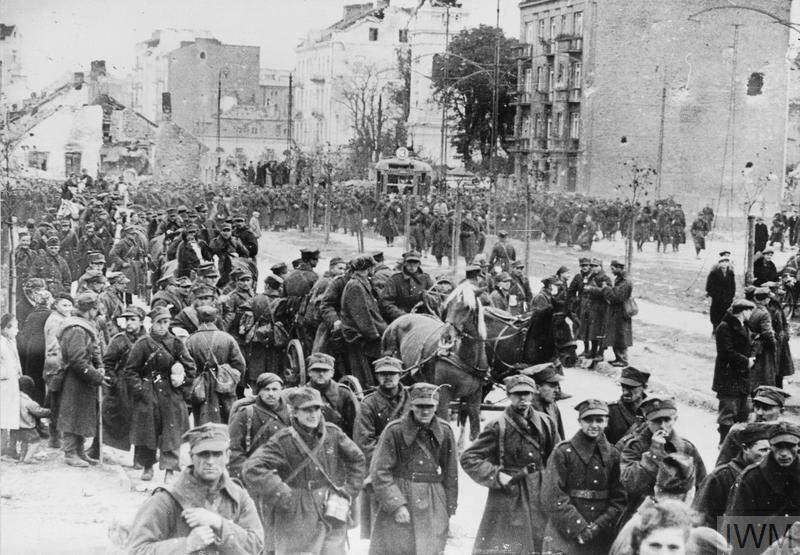 During this year of unrest, the Polish people rebelled against the Russian rule in Poland, and unfortunately failed, which resulted in even tighter control measures. Much of this unrest was predominately among the students and other groups of urban youth that resented the idea of anyone other than a Polak ruling the kingdom. Those that participated or led the insurrection were executed in August of 1864, and the rebellion officially ended. Despite all of the violence and fighting, when racing returned, it enjoyed an even higher level of popularity. Polish stock that was being bred and raced in the kingdom was getting better and better; which began to draw the attention of the “titan of racing” at the time, England. In 1880, purses were introduced and/or significantly raised in many races for the first time. This drew the attention of the English trainers and jockeys, who in turn, brought their horses to Poland. Many people considered this as the greatest chance Poland had ever received to learn from the best that the world could offer. With the Englishmen’s arrival, so came with them the golden age of Polish racing. In 1887, the Polish struck their first major victory outside of their own boarders, and on Russian soil no less. A Polish stallion named “Ruler” won the “Whole-Russian Derby”. He had been an in-utero purchase from England; the “partnership” was beginning to pay off handsomely for the owners that were willing to branch out and seek new bloodlines for their stables. The industry steadily steamed along and reached new heights in the coming years. Unfortunately, an event on a worldly scale soon ended the Polish rise in horse racing. World War I broke out and it dealt a heavy blow to the breeding and racing in Poland. It would have been a fatal blow if not for the brave owners, trainers, and farm owners that went out of their way to hide the most valuable of their horses. A large and very valuable group survived in Odessa and that group proved to be the foundation upon which the industry would lean on when the war ended. In 1919, the horses returned to the racetracks and the industry seemed to be moving forward again. 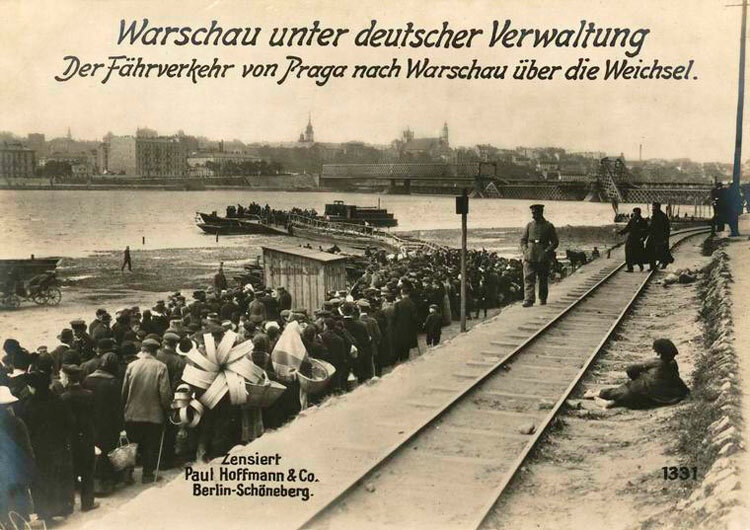 The war had taken a lot out of the country and racing more than ever helped many people forget about what they had suffered through for those terrible years at the hands of the invaders. A few years later, in 1925, the “Committee of Horse Races” was created and the popularity begins to leak into every city that could host horse racing. Racetracks began to spring up in major cities like Poznan, Lublin, and Lvov with an informal, private track created not far from Zakopane that hosted races during the winter months. Warszawa, strangely enough, ended up being by-passed for a new track and the residents made their discontent with that decision loudly known. The opportunity for a new track arose and the people of Warszawa got their track; just not in their city. 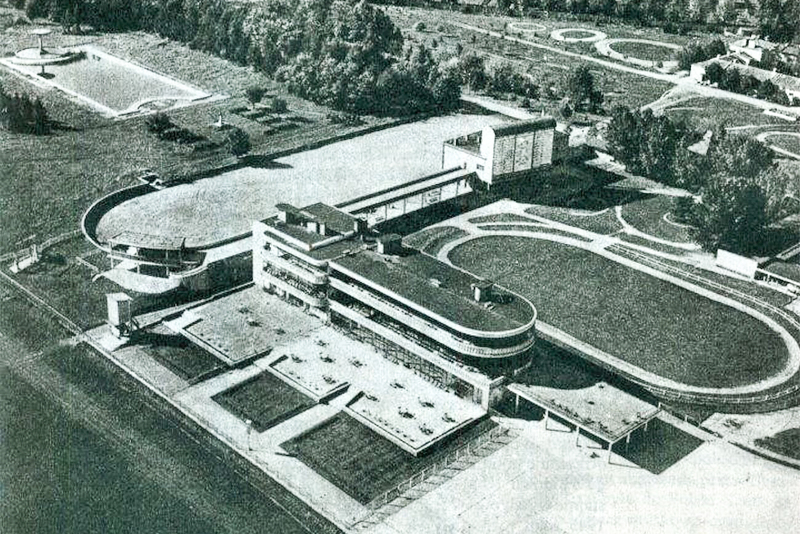 It was built in Służewiec, and before anyone had too much time to really enjoy the modern, and gorgeous facility, yet another disaster was unleashed upon the industry. World War II broke out in 1939; effectively obliterating the breeding and racing industry in Poland for very obvious reasons. Racing was the last thing Polaks were thinking about as they watched their Jewish neighbors, and anyone that dared oppose the Nazi regime, get dragged off for concentration and killing camps. It was a bleak and dark time in Poland’s history; with the ultimate insult lying in the fact that Germans chose the Tor Służewiec, the most modern racetrack in the country and a big source of Polish pride, to bunker down in. Once the nightmare ended in 1945, many stud farm owners found themselves unable to reclaim their properties or their horses under the excuse of post-war “nationalization”. It wasn’t just the large scale operations that were seeing issues in getting started again; private owners were being denied racing and breeding rights as well. It took more time to sort out the paperwork than it did getting all of the Thoroughbreds back onto the tracks. 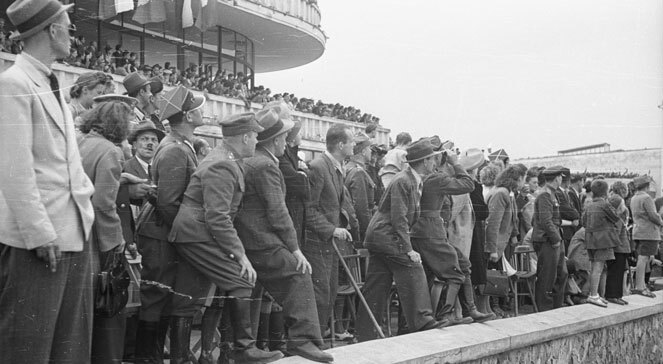 Then, in 1950, the last “relic” of the Golden Age of racing in Poland was liquidated. The “Society for the Encouragement of the Horse Breeding” was formally done away with as the people’s government set up a new organization to replace it; the “National Horse Racetracks Company” came to life as branches were opened in Sopot and Wroclaw. The formation of this group gave the push the industry needed to begin moving forward again. True to its nature, political changes brought more breakthroughs for the industry by essentially handing over any state-run stud farm property (which often included horses) to the state agencies. The “State Agricultural Property Agency” received many of such transfers in order to distribute them later once it was decided how formerly state-owned property would be dispersed. In place of those old stud farms, state officials formed companies with many of them becoming privatized in the process. Though it wasn’t on the scale that it is now, competition among breeders was alive again, as the best of the best wasn’t solely in the hands of the most powerful (or most funded) farms. Unfortunately, politicians stuck their noses where they didn’t belong, and through the years of 1993 to 2001, liquidations and the deprivation of the right to wager on the races caused chaos in the industry. Things that made no business sense were being transferred to companies that didn’t really want them on account of the fact that investing in something that doesn’t pay you back made no sense to some of them. The Polish Totalizator company had wanted to invest in the industry, but the government refused their bid to accept wagers. In 2001, the Polish Jockey Club was founded with the intent of managing the track in Służewiec. Though they had the power to organize races, the question of where the funding would come from weighed heavily on the minds of those that were awarded positions in the newly founded club. An investor was still needed since the mess that was stirred up from the previous eight years had left them without anyone to fund the purses. For many companies, it was a pointless plunge to make when the business was so unprofitable and unstable. By some miracle, they managed to fund two racing seasons and they turned out to be successful. This only happened because they were in the good graces of the Stallion Herd Company; but despite their generosity, they could not be considered a reliable investor. The racing gods took pity on the poor souls that so desperately searched for a sponsor, and eventually, Totalizator was allowed back into the game and the issue of resources ceased to be a problem. Tor Służewiec is a shining beacon in the world of Polish racing. Fast-forward to present day, and horse racing in Poland continues to enjoy a good level of popularity. Polish trainers and jockeys are making their marks around the world, and Polish trained horses like undefeated superstar Va Bank continue to bring the crowds and electrify the grandstands. Polish racing has a long and proud history of overcoming adversity and moving forward by learning from their mistakes as fast as time will allow them to change what needs to be changed. If any country has a chance to step up and play in the realm with the big boys like England, the Americas, and Australia (to name a few), it will be Poland. Please note, many of the words in ” ” are often loosely translated names. Some of them made no sense when strictly translated, so this was the best that I could do. If anyone knows a better, less clunky name for some of them, please let me know in the comments section. If you would like to see the original article in Polish, please go to this link. This article was so interesting! They’ve gone through so much to be able to enjoy racing and they’ve fought back every effort to take it away. Brace nation, truly.